No Payments, No Interest on all purchases over $199 if paid in full in 6 months! capable of completely eradicating all airborne and surface contaminants within any unoccupied building, vehicle and/or zone. What sets ARISTOCRAT AIR apart from the other "so-called" service providers is our use of BIOSWEEP®, a new, innovative technology which harnesses an advanced form of photocatalytic oxidation (PCO) to destroy the source of all contaminants within an indoor environment. These biological contaminants include airborne viruses such as H1N1, surface bacteria such as Methicillin Resistant Staphylococcus Aureus (MRSA) and Clostridium difficile, more commonly known as C.diff, fungi, fine particulate matter such as aerosols, smoke, fumes, dust, ash and pollen, volatile organic compounds, and pathogenic organisms such as Escherichia coli (E.coli). The unparalleled effectiveness and demonstrated success of our eradication process is based on the use of BIOSWEEP®. This high quality, high performance air and surface decontamination system was developed by PHOCATOX Technologies®, a leading U.S. manufacturer of Indoor Air Quality (IAQ) equipment. In addition to utilizing the most cutting-edge technology, BIOSWEEP® is also an earth-friendly, environmentally safe, green technology. 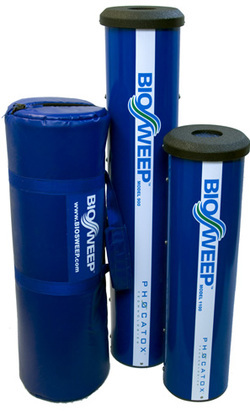 Unlike any other equipment available on the market today, BIOSWEEP® provides IAQ professionals with a safe, highly effective solution to IAQ problems. Copyright © 2019 Aristocrat Air Inc., all rights reserved.